Many people only schedule a visit to the dentist when they have a toothache or other dental health issue. It is recommended, however, by the American Dental Association that people should have routine dental checkups at least twice a year to ensure their smiles remain in good health. 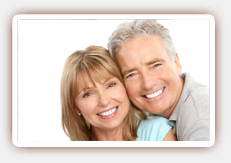 There are also many things you can do in between these checkups to maintain the health of your teeth. 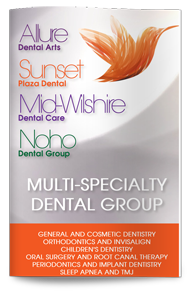 Our West Hollywood dentist has several recommendations for important dental care techniques. Cavity causing bacteria in our mouths feed off the food that is leftover from what we eat ourselves. The more sugars and carbohydrates the foods we eat contain, the happier we make the bacteria living in our mouths. The only way to keep the growth of these bacteria under control in between visits to the dentist is with twice daily brushing and daily flossing. Brushing and flossing regularly does not eliminate all of the bacteria but it does get rid of the food that they feed off of, which will help keep them in check. Also, our diets are extremely important in maintaining excellent oral health. Fruits and vegetables contain many of the vitamins that our teeth need to thrive. Foods high in fiber like apples, carrots, and leafy greens will help keep teeth strong. Also, our teeth require a lot of calcium to remain healthy. Dairy products like milk, cheese, and yogurt are good for teeth because they contain lots of calcium. If you need to schedule a dental checkup or would like to learn more dental care tips, contact our West Hollywood dentist today to schedule a consultation.